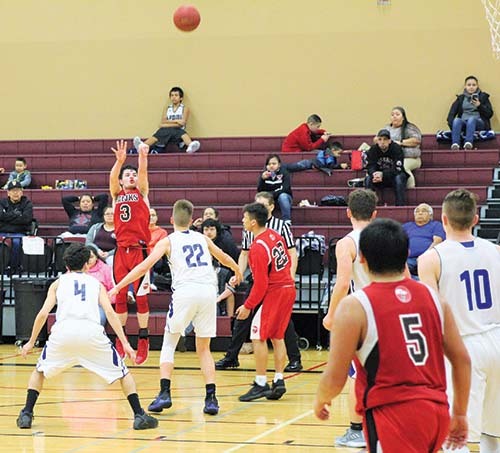 Tulalip Heritage High School recently received accreditation through AdvancED, an accrediting agency comprised of educators who conduct on-site external reviews of Pre K-12 schools. The education accreditation procedure is a yearlong voluntary process in which a school becomes a certified institution by meeting a set of external standards of quality. Due to successfully completing the process, Tulalip Heritage has been granted accreditation for the next five years. 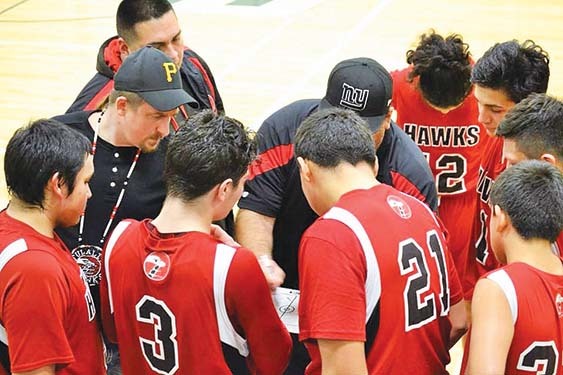 Tulalip Heritage was previously accredited under Marysville-Pilchuck, the recent accreditation now recognizes Heritage as its own school and by doing so, the high school has the opportunity to thrive on its own, as well as provide a fresh outlook for potential students and their families. 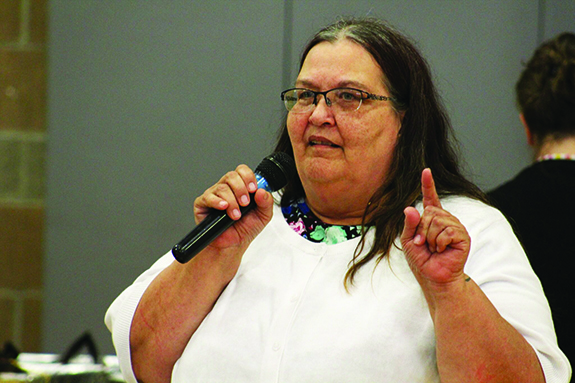 On the evening of Wednesday August 30, Tulalip Heritage celebrated their accreditation with the Tulalip community at the Francis J. Sheldon Gym. 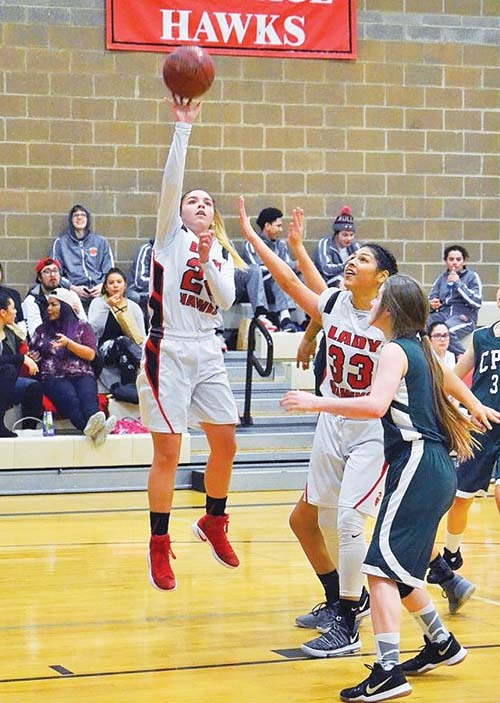 “It’s really a huge accomplishment for us, as a school, to receive this accreditation,” states Tulalip Heritage High School Principal, Shelly Lacy. “We’re accredited through AdvancED, they have accredited over 34,000 schools nationally and we actually scored ten points higher than their average. 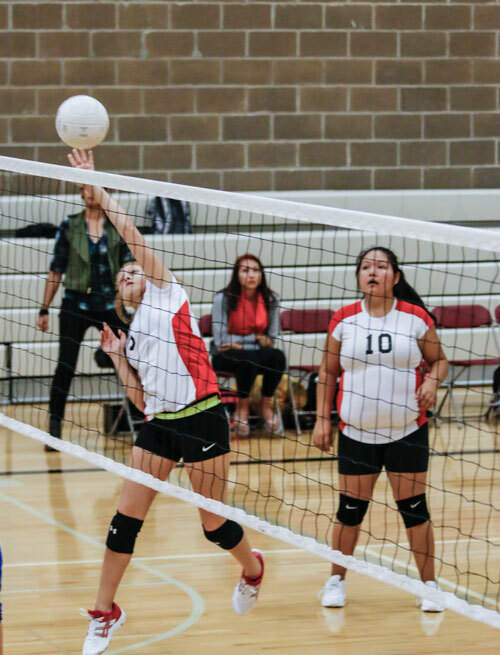 A lot of times we hear in the community that Tulalip Heritage is an alternative school, that we’re less than. This accreditation tells them no, we meet the same standards; as a matter of fact, we exceed those standards. Tulalip Heritage High School Principal, Shelly Lacy. The accreditation celebration allowed parents and students a chance to fill out paperwork for the upcoming school year. 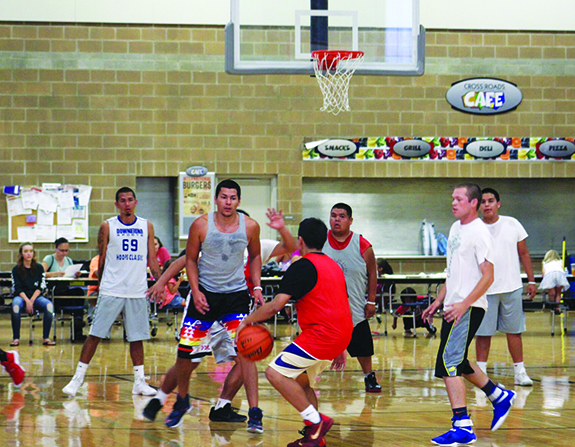 Heritage also provided dinner, a spaghetti-bar buffet by Olive Garden, as well as entertainment as many Tulalip Heritage Alumni took to the basketball court to compete in a full four-quarter game against the current Heritage High School student-athletes. “When we thought about celebrating the accreditation, we wanted to include all of our alumni because they are who made our school important. They came and did their best work here and then they continue to come back. They come back to support the athletes, they come back to volunteer at our school. 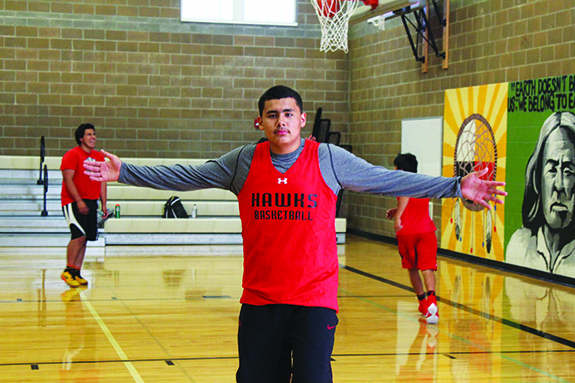 So, we wanted to make sure we included them and the best way is through their love to play sports. 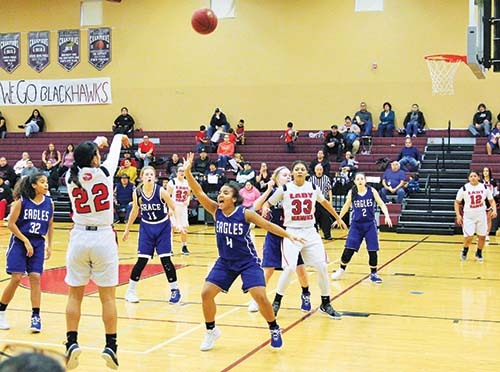 TULALIP – The curse of the Eagles struck the Tulalip Lady Hawks again in last night’s game against Grace Academy Eagles, 0-3, played at Heritage High School. 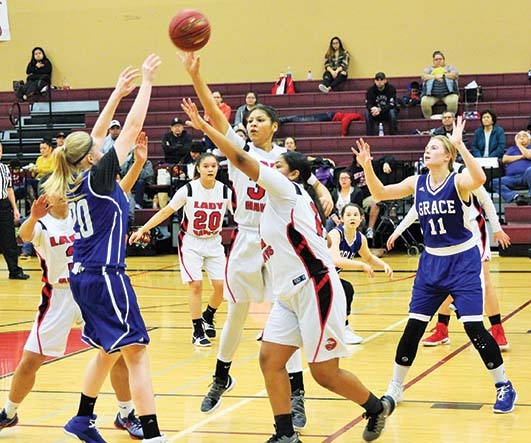 Both teams stepped on the court looking to take a win after both teams experienced crushing losses in their season openers. 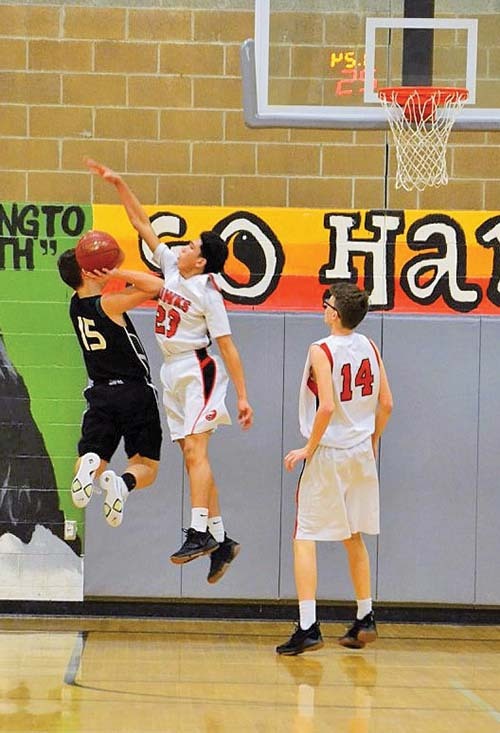 But Lady Hawks’ lack of communication, which has plagued the team since the start, enabled the Eagles to easily take the lead. 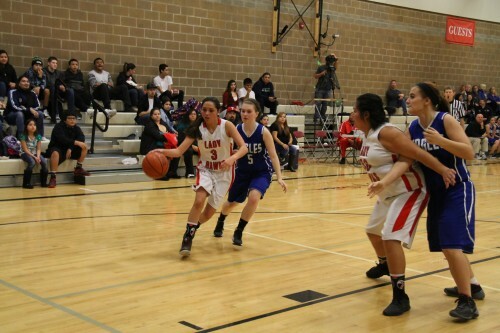 The Lady Hawks came together in the second match to score 17 points but couldn’t hang on to turn the tide. 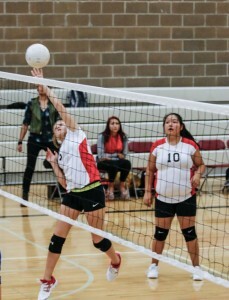 You can watch all home games live on Tulalip TV or online at www.tulaliptv.com.